Ronald S. Lederman has more than 25 years of litigation experience, particularly in appellate courts. Chair of the firm’s Appellate Department, he has served as lead counsel in over 300 appeals in both state and federal courts. Ronald also serves as a member of the governing council for the Appellate Section of the Michigan State Bar. Ronald represents business clients and individuals in commercial and civil litigation at the trial and appellate level. He counsels his colleagues and their clients in the process and preparation of appealing lower court decisions to a higher court. His experience includes arguing cases before the United States Court of Appeals, the Michigan Court of Appeals, the Michigan Supreme Court and the Florida Supreme Court. Ronald is a Fellow of the Litigation Counsel of America, a legal honorary society for experienced trial and appellate attorneys. 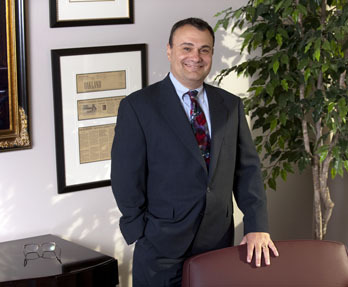 He was been awarded the ranking of Michigan “Super Lawyer,” by Thomson Reuters in 2006. He has served as a student member and barrister of the American Inn of Court, University of Detroit Chapter, and is a member of the State Bar of Michigan's Appellate Practice Section. Ronald is a member of the governing council for the Appellate Section of the Michigan State Bar and co-chairs the Section’s Court Liaison Committee.